Who is Lola Plaku, you might ask? Simple answer: She is a big name in the hip hop world with years of experience in the music industry. And if you haven’t heard about her before, that’s probably because you won’t find her in the billboard charts or performing onstage. Lola Plaku is the force behind some of the industry’s biggest artists like Big Sean and The Weeknd and the CEO of her own company Lola Media Group. 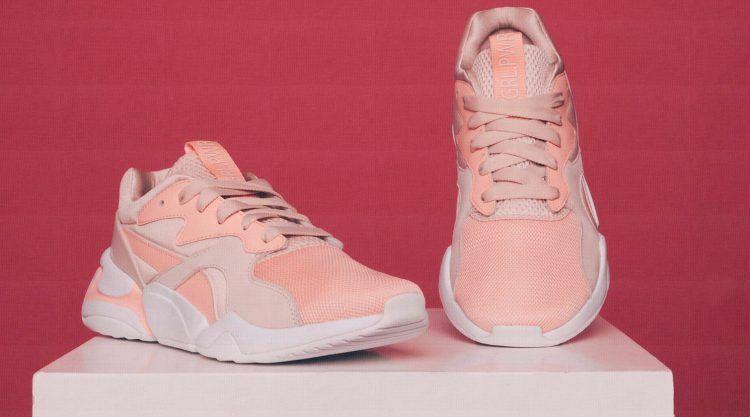 “Lola inspires others to create change and push culture forward, making her the perfect co-creator of the new Nova.” This is what Yassine Saidi, PUMA’s Senior Head of Select, says about Lola Plaku, who designed the PUMA Nova GRL PWR. Growing up in Albania, artist marketing and management was probably not the career path she had in mind as a little girl. But when she moved to Canada at the age of 13, she discovered hip hop, fell in love with it and from that day on worked hard on a career in the music business. “Everything I did in my spare time was a part of my informal education into music and the entertainment industry. I wanted to make sure that I had a thorough knowledge of what I was talking about,” she once told Forbes magazine. Now, she’s exploring new paths again, having designed the Nova GRL PWR. “Lola inspires others to create change and push culture forward, making her the perfect co-creator of the new Nova,” explains Yassine Saidi. 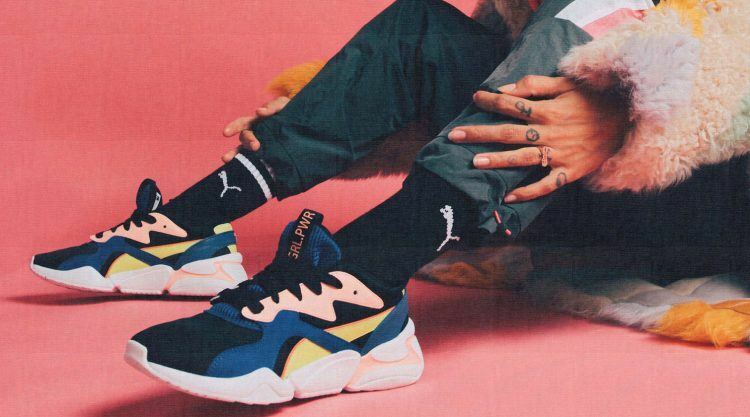 Her creative take on PUMA’s Nova resulted in a bold, 90’s inspired silhouette with a slim mesh upper with leather overlays. Lola chose distinct color palettes for the sneaker, that drops in Black-Surf the Web and Peach Bud-Pearl Blush. This campaign is truly about building self-esteem and creating a platform for self-discovery, growth and empowerment. Girls and women should believe they can be anything they want to be. When Lola talks about self-esteem, she knows what she is talking about: Establishing herself in the male-dominated music industry was hard work. You can spot the self-confidence she gained in more than ten years in the music industry, in the vibrant color blocking and the GRL PWR branding on the heel of the Nova GRL PWR. Loka Plaku’s resume is both, extensive and multifaceted: In 2018, Billboard named her one of the hip-hop industry’s rising stars to watch. She started as a music journalist for Canada’s hip-hop music scene and afterwards made a name for herself after launching her blog, iLuvLola. This led her to a role in promotions at Maxamus Entertainment followed by an online marketing position at CP Records. She eventually branched out into concert production, working with The Weeknd, Travis Scott, French Montana, Kehlani, Big Sean and A$AP Rocky, among others. Lola currently runs Lola Media Group, which specializes in artist marketing, brand development and management. Select is a collaborative platform that works on co-creative partnerships between PUMA and artists, influencers and up-and-coming brands from across the world. The Select team, led by Yassine Saidi, works directly with creatives across different industries, like fashion or music making them co-creative directors of a specific product or capsule. To find co-creators that embody PUMA’s spirit and cutting-edge designs, Yassine Saidi and his team travel all around the world. Ballet Dancers are Athletes, too!